Fashion is not just limited to men and women but Eid wear 2017 collection by designers is exclusively for the tiny tots. Eid Al-Adha is the time to indulge in feasts and enjoyment and children are the one to enjoy it the most. Bright and beautiful Ramadan collection showcases enchanting Eid clothes for babies, boys and girls. These splendid child Eid dresses are high on fashion and opulent in look….. making them perfect Eid dresses to shop for your cute little kids!!!! Celebrate Eid Al-Adha 2017 in great style with regal designer dresses to smart clothes and enjoy fast worldwide delivery. Looking for an exclusive festive Eid special kids ethnic wear for your baby girl??? Well, here are some choices…. 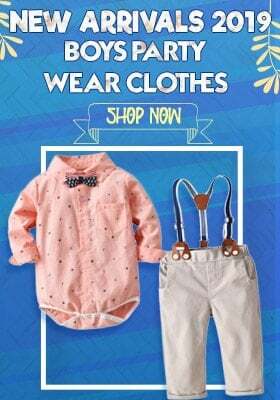 If you don’t want to compromise with something usual and desire something exceptionally beautiful and made to order for your girl then have custom made clothing for your child in the color and size of your requirement. This will surely insure a better fit and an impressive look for your baby girl which will make her look like a diva!! If you wish to give your girls a princess like look on this festive occasion then explore the enchanting collection of tutu dresses and gowns in beautiful colors and styles. Intricately designed bodices with floral arrangements, bead embellishments make these clothing a wonderful pick for Ramadan for little baby girls. This collection is not partial to girls and offers unmatched choices for boys as well. Take a look at the Ramadan collection to revive your kid’s look for the festival. Nothing looks more graceful than a simple and handsome pair of kurta pajama. Designed using high quality linen fabric, this ethnic clothing is class apart. It comes in various soothing to vibrant shades. To complete the look in style, add on a smart jacket with it to make sure your baby boy looks the best. This is a promising ethnic clothing choice for boys of all age groups. 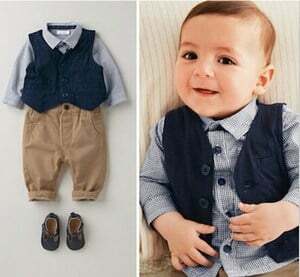 If you desire to make your cute baby look like a gentleman then grab a smart suit for him from this ravishing Eid Al-Adha kids wear collection. Select from different colors and patterns to make a stylish pick to get that unique style statement for your child. Don’t forget to add on a tie or a bow and your son will get all the attention!!!! 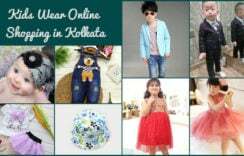 So with these adorable choices of clothes for Eid, you are all set to shop online for exceptional festive apparels for your children. Shop them online with easy Cash on Delivery option for a perfect Eid purchase. You can get in touch with us at +91-8003-550-118 or +91-8000-011-699.